Ah…it’s autumn in Michigan. My favorite time of year. The air is crisp, everyone begins cramming in the last of outdoor fun, the incredible aroma of Michigan apples fills the farmer’s market, and pears spill out over the patio from the pear tree in the corner of our yard. I was never a fan of pears when I was a kid. As time has gone on and my tastebuds have matured, I’ve come to accept pears in my life. I’m not saying I’ve outright embraced them but they have a toe in the door nowadays, and that’s saying a lot for me. What brought about this change? The pear tree in my back yard. 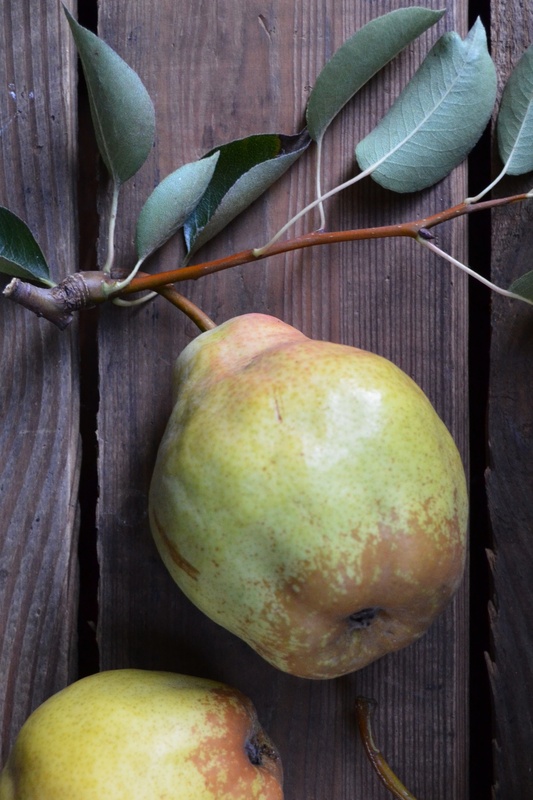 When hundreds of pears began to fall that first fall after I bought my house, I was determined to learn to love them. I felt so lucky to have a fruit-bearing tree at my house in the heart of the city. 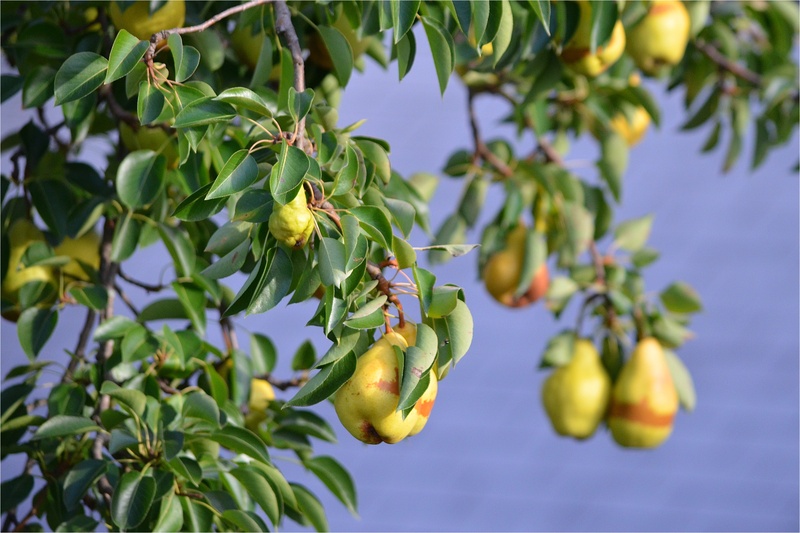 I really enjoy the pear tree’s beautiful white blossoms in the spring and eagerly anticipate the fruit ripening in the fall. I particularly enjoy them with some aged white cheddar cheese on a fruit and cheese platter. Last year I enjoyed a pear crisp with cardamom. 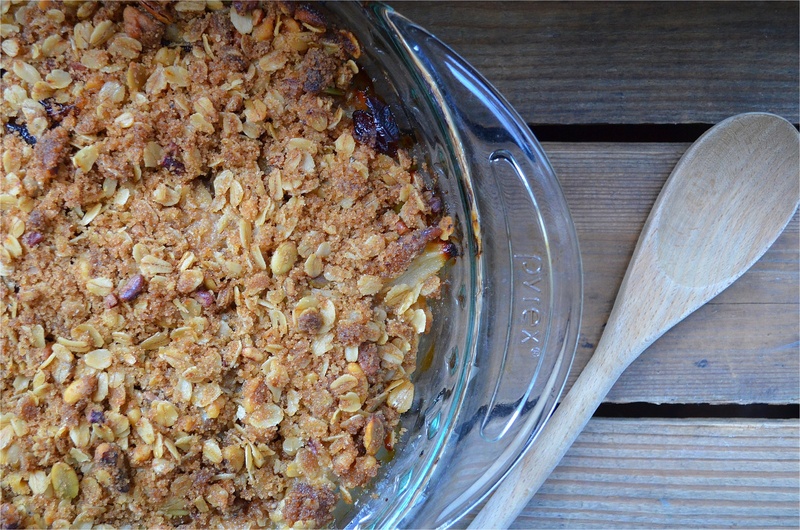 This year I decided to update that, bringing in my favorite fall fruit, the apple, along with some dried cranberries, to create a truly fall dessert. There is nothing I enjoy more than a crisp baking in the oven as the leaves are painted red and down vests, sweaters, scarves, and fashion boots appear in place of shorts and sundresses. 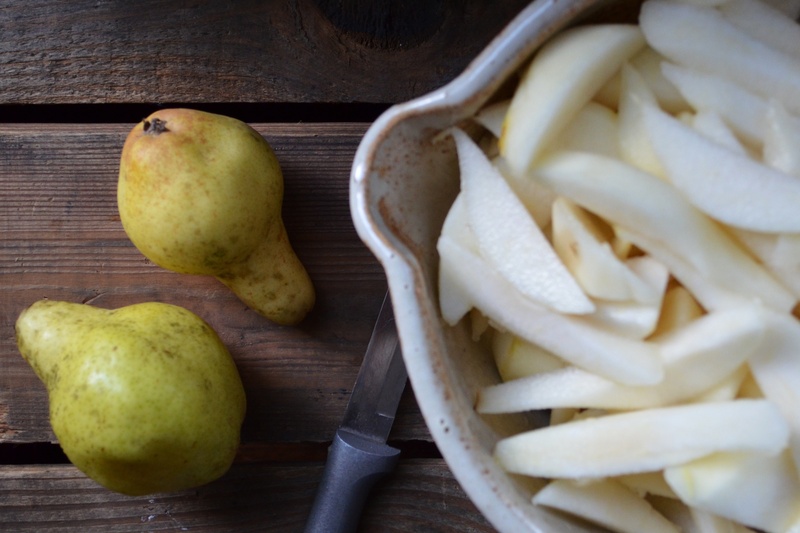 Crisps are easy and make the best of the season’s fruits. Cut up some fruits, pop this in the oven, and enjoy steaming up the windows of your kitchen for the first time this year. Heat the oven to 400°. Grease an 8 or 9″ pan with a little bit of butter. Cream the butter, oil and sugar together, using a mixer or fork. Stir in the nuts, seeds, lemon juice, oats, flour, and salt, until combined and crumbly. You can make the topping ahead of time, if you like. Put the pears, apples, and cranberries in the prepared dish, sprinkle with cardamom, and toss to coat. Crumble the topping over all. Bake until the filling is bubbly and the crust is starting to brown, 30-40 minutes. Serve warm with a scoop of vanilla ice cream if you have it! Your crisp looks delicious! 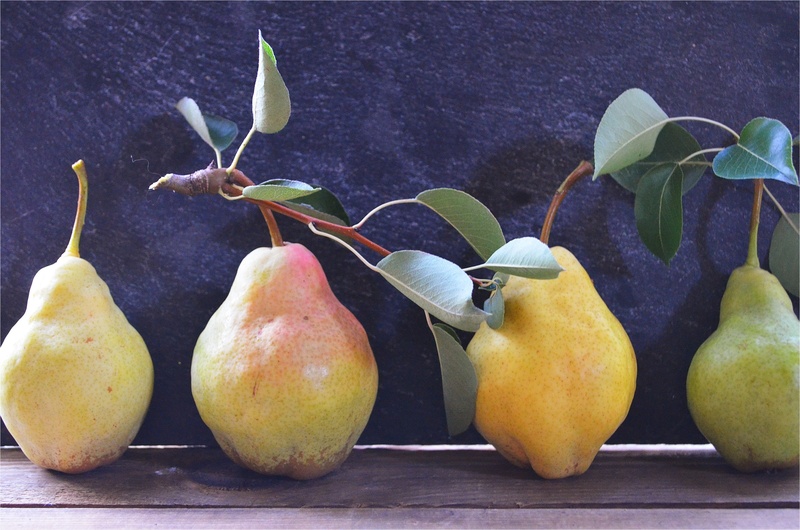 What a great way to use up those pears and the pictures are just beautiful. What a beautiful post this is, with beautiful imagery. And, the crisp looks delicious, of course. I’m so excited for Fall I can hardly stand it! It’s by far my favorite time of year.